As the video played in the Texas Capitol meeting room, the red target jerked back and forth across the map, tracing every movement that Malte Spitz, a German politician, had made during several months in 2009 — when he was riding a train, when he was at a nuclear protest, when he was in meetings or at a store, and when he was at home. Who was tracking him? His cellphone. Using records of cell use — from phone calls to Twitter usage to Web access — Spitz was able to construct “an exact road map of what he did,” as state Rep. Bryan Hughes, R-Mineola, explained to fellow lawmakers gathered in the room. He was tracked in Germany by his phone company, and he sued to get his own records to see how minutely his movements could be tracked. In much the same manner, Hughes explained, law enforcement in Texas and across the United States is using call-tracking information in investigations. That has led to questions about whether the technology violates the constitutional right to privacy or whether it is simply a high-tech shortcut to solve crimes. A large group of Texas legislators wants to ban the practice unless police obtain a court order, and the issue is pitting tea party activists and others who oppose intrusive Big Brother government against the police, who say it is a boon to solving crimes. The House bill alone has nearly 100 co-authors in the 150-member chamber. Regrettably, the article continues to perpetuate a false characterization from the hearing about how personal location data is currently obtained. Ward quoted Brian Tabor of the Dallas Police Department who opined, “We have a problem with raising the bar from reasonable suspicion (that does not require a warrant) to probable cause (that does). It takes away a valuable tool.” That comment, though, misstates the current standard law enforcement must meet to use cell phone tracking, which under Texas and federal law is authorized merely when the information may be "relevant." "Reasonable suspicion" is not required under Texas law except for physical mobile tracking devices like those at issue in US v. Jones. And some agencies, like the Texas Department of Insurance, don't even rise to that threshold, obtaining location data from cell phone companies under an administrative subpoena without any contact with a judge, according to testimony at the hearing. One other clarification: Mike slightly understated the bill's support when he wrote that it has "nearly 100 co-authors in the 150-member [House] chamber." As of Tuesday, the day the bill was heard in committee, HB 1608 had 101 "co-authors," four "joint authors," plus of course the primary author Bryan Hughes for a total of 106 out of 150 House members, or 71% of the Texas House, so far. Six of the nine House Criminal Jurisprudence Committee members are presently primary, joint or co-authors, and 9 of 15 members on the Calendars Committee have also signed on to support the bill as co-authors. Anything can happen, but that's an enviably optimistic starting point for HB 1608. Ward depicted support for the bill as sort of a Tea Party uprising - he wrote, "the issue is pitting tea party activists and others who oppose intrusive Big Brother government against the police, who say it is a boon to solving crimes" - but support for requiring warrants for cell-phone tracking is more bipartisan than that. Looking at the list of 106, a majority of both Democrats and Republicans in the lower chamber have signed on to support the bill. Rep. Hughes has done a terrific job of promoting the legislation across party lines..
BTW, if your state rep is not on this list, then call them to ask them to become a co-author of HB 1608 (you can look up their contact info here.) If your state rep is already on the list, call them to say thank you and ask them to hang tough on the warrant and reporting requirements. Your past is not your own: Police say historic location data not invasive. FBI investigators for at least five years have routinely used a sophisticated cellphone tracking tool that can pinpoint callers’ locations and listen to their conversations — all without getting a warrant for it, a federal court was told this week. The use of the “Stingray,” as the tool is called, “is a very common practice” by federal investigators, Justice Department attorneys told the U.S. District Court for Arizona Thursday, according to the American Civil Liberties Union. Installed in an unmarked van, Stingray mimics a cellphone tower, so it can pinpoint the precise location of any mobile device in range and intercept conversations and data, said Linda Lye, staff attorney at the ACLU of Northern California in a blog post about the case. In a rare public discussion of federal electronic surveillance capabilities and authorities, Justice Department lawyers told the court hearing that, instead of a warrant, the FBI operates Stingray and other cellphone-mimicking technology under the authority of “pen register” orders. These court orders, also known as “tap and trace” orders, are generally issued to allow investigators to collect only so-called “metadata” — like all phone numbers calling to or called from a particular number. But Stingray collects much more than just phone numbers and also “sweep[s] up the data of innocent people who happen to be nearby,” according to the ACLU filing. Given the broad nature of the information Stingray collects and its ability to eavesdrop on conversations, many federal judges insisted that they should be told when its use was envisaged under a tap and trace order, the ACLU filing says. Here's the blog post from ACLU on the topic titled "DOJ emails show feds were less than 'explicit' with judges on cell phone tracking tool." That exact same lamentation was expressed by federal Magistrate Judge Brian Owsley (Texas Southern District - Houston) at the Yale conference, who said, to an untrained eye, orders for Stingrays look just like those for much-less invasive pen registers. He thought he'd only ever seen two Stingray requests, but in retrospect said he's not completely sure for exactly the reasons described above: They're frequently presented as workaday trap and trace orders. A judge can't oversee activities about which s/he is never told. In Judge Owsley's cases, the federal prosecutors themselves did not understand the technology for which they were requesting an order. Fort Worth PD owns a Stingray device but little is known about what other state or local agencies in Texas have them. Mostly local agencies purchase them with DOJ or DHS grants. To me it seems like wiretap equipment that they shouldn't possess, at least unless the unnecessary and ill-considered SB 188 passes. That bill, which gives wiretapping authority to the state's largest municipal police departments without DPS as their intermediary, cleared the senate last week. Detectives I've spoken to from the largest departments expect a sharp increase in the number of wiretap warrants requested statewide if SB 188 passes. At that point, you can be sure they'll all want a Stingray device. Although no study has ever been done on the link between the two, experts have speculated that the driving surcharge program — which has caused 1.3 million drivers to lose their licenses — made it much more difficult for Texas to defend its 2011 law requiring voters to show a photo ID at the polls. In August, a federal appeals court refused to uphold the voter ID law in part because so many Texans lacked a driver’s license or state photo ID. Minorities made up a large percentage of them. An analysis by the Texas secretary of state last year could not find matching driver’s licenses or state photo IDs for as many as 2.4 million Texas voters. That included 1.6 million who had licenses or IDs when they registered to vote. Among those who see a link is Austin political consultant and criminal justice blogger Scott Henson. Based on the numbers, he sees a “definite correlation” between the DRP and the large number of voters who don’t have the photo ID most Texans rely on — a driver’s license. “I’d love to see the state run another matching program to find out how many voters without a current ID have defaulted on one or more of the Driver Responsibility Program surcharges,” Henson wrote on his blog, Grits for Breakfast. Grits continues to believe that the surcharge was a major contributor to Texas' voter ID law being rejected - not the sole reason, perhaps, but neither at all an insignificant one. I also believe it has significantly harmed the economy. The sticking point to repealing the surcharge this year has been hospitals' fear that, if Texas won't accept Medicaid funding, they'll be stuck with uncompensated care bills and lower disproportionate share funds from the federal government. So they don't want to let go of any revenue source while so much uncertainty hovers around them. I get that. But because the Lege has failed to distribute hundreds of millions of surcharge funds as part of its convoluted smoke and mirrors scheme to balance the budget, there's enough money in the account right now, says the Texas Criminal Justice Coalition and Rep. Gonzales, to keep paying hospitals at current rates for the next six years. That would give the Legislature three biennia to nail down its health finance decisions and figure out a more equitable way to fund indigent healthcare with fewer unintended consequences. Necessity is the Mother of Invention: IMO the Lege should eliminate the surcharge now and worry over the next couple of sessions about how to pay for indigent healthcare in a future inevitably altered, for good and ill, by Obamacare. The solution must come as part of a broader fix to a protean health finance system which will be a big legislative priority over the next several years as Obamacare rolls out and the states adjust and react. (E.g., I've thought the surcharge money might be replaced with some sort of transaction fee on health insurance policies.) There's time to address those larger indigent care questions, even if the surcharge is eliminated this session. In the meantime, if you want to tell the Texas House Homeland Security and Public Safety Committee why this program should be stricken from the books, show up at the capitol on Wednesday. You can simply register against the bill (at the kiosks in the hallway behind the hearing room) or leave written testimony with the clerk if you don't have time to wait around all day. Is 2013 the year legislators axe Orwellian-named Driver Responsibility surcharge? Did the Driver Responsibility Surcharge cause Texas' voter ID law to be rejected? What's the one thing John Whitmire and Leo Berman have in common? I listened today to the Texas House Criminal Jurisprudence Committee's surprisingly lively hearing in the middle of the night sometime Wednesday morning. That's when HB 912 by Lance Gooden criminalizing photography by drones finally came up. I'd already gone to bed after the debate on the cell-phone location tracking bill ended around 1:35 a.m., so thank heavens they webcast and archive these things. Go here to watch the hearing (it begins at the 6:46:18 mark) which started sometime just shy of three a.m. before an increasingly groggy but still engaged committee. I've also obtained a copy of the committee substitute language. It's not yet available on the capitol website so I uploaded a version here. There's a civil section to the bill, explained Rep. Gooden, saying you can't take photos from a drone over someone's private property, with a penalty of up to $1,000 per picture. That's the piece which brought professional photographers out of the woodwork. For videographers, that per picture liability may be multiplied by 24 frames per second. Similarly, news photographers may take hundreds of photos on a shoot. The bill also creates criminal penalties, Class Cs and Bs, for drone photography of private property. Police officers who've obtained warrants are one exception to the criminal prohibition, including for pursuits, border security, when someone's life is in danger. Gooden said the Legislature had an obligation to regulate new technology, adding that, "If Bryan Hughes would have told you five years ago he'd be filing his GPS bill you'd have thought he was crazy. Some people think I am." Grits increasingly likes Rep. Matt Schaefer the more I see of him - not just because he says things I agree with and asks good questions, but also because he's a home-town boy, representing the district I grew up in and where my father still resides in Tyler. He laid out parameters that also reflect my preferences: Stay out of the criminal statutes and cap damages on the civil side until we really understand all the stakeholders and everything that's going on. Rep. Burnam interjected to say that Gooden had worked diligently with committee members and stakeholders, but that didn't mitigate the wave of often legitimate criticism that dominated most of the rest of the hearing. There was a consensus among speakers that a warrant standard for police was a good thing but there needed to be protections for filmmakers, hobbyists and press. Alicia Calzada, an attorney with the National Press Photographers Association, nervously spoke against the bill. Her group opposes bills in general that criminalize or impose civil penalties on press photography, she said, and this bill does both. Drones are cheaper than helicopters and safer for operaters, she said. Aerial photography is powerful media tool. She complained the bill is content based, with the crime or civil penalty based on what's in the picture. Regulating content, she said, "requires a compelling state interest" that's not present as the bill's currently drafted. There was a poignant moment when Rep. Schaefer asked a fellow from Texans for Lawsuit Reform, "do you agree we have some privacy issues?" Yes, the TLR lobbyist muttered. "Would you prefer we deal with those in civil court or criminal court?" "Criminal court," was the reply, as the audience twittered with laughter. Said Schaefer: "Why is that not surprising?" If you ever wonder why Texas too often uses criminal law in lieu of regulation or civil courts, that legislative moment sums it up. TLR has been and is a powerful voice under the pink dome. Rep. Steve Toth from Montgomery County, where the local Sheriff bought a drone with grant funds and promptly crashed it into a SWAT vehicle, asked, "Should you be able to fly over my property and see my wife sunbathing?" Calzada meekly replied that it depends. Toth asked, "Should you be able to fly over a wedding to see who is there?' Calzada answered only with a long silence, followed by mumbling. Toth continued, "How about a little kids' camp?" Taking a deep breath and regaining her composure, Calzada responded, "Well, can you see it from a helicopter? Can you see it from a 20-story building?" She continued to point out that "This bill doesn't differentiate between when you do and don't have a reasonable expectation of privacy." Content based restrictions require a compelling state interest, she said, and more narrowly crafted exemptions than were in the committee substitute. The bill needed to contain explicit exceptions for "serious literary, artistic, political or scientific expression," she said. Grits would have gone so far as to add that not just serious but "light-hearted, silly or fanciful" expression also deserved protection. Brent Byler, of drone maker DGI Innovations described more positive uses of the technology: "Movie and television filming, agriculture, disaster management, thermal and infrared powerline surveys, aerial imaging and mapping, news coverage, environmental monitoring, oil and gas exploration, and real estate." He added, "Drones don't spy on people, people spy on people. He cited F1 races and SXSW as examples where drones were used because they're safer to use these than helicopters. But in a large crowd setting like that you can't get permission from everybody. Drones make high-quality media cheaper, he said, costing little to operate compared to helicopters which cost $15,000 per day. It's "not in the spirit of Texas to run off businesses," said Byler. Rep. Moody asked, if there is a way to "carve out incidental image capture"? Byler replied probably. Documentary film producer John Downer testified against the bill. Something must be done to protect privacy, he agreed, but under the bill as drafted he can't do the shots he needs so they would probably just go to California or shoot somewhere else. When a filmmaker flies a camera-laden drone down the street then pauses, hovering on a house where they're shooting, right now they get permission and pay for use of the one house. But it's not economically feasible, he said, also to pay every homeowner and bystander captured as they fly down the street. Directors who wanted such shots would have to film somewhere else. At 24 images per second, at $1,000 per image the penaltie would quickly get out of hand. Mark Easterbrook, National Press Photography Association, called the legislation "just dumb," imploring the committee, "Don't be that state." Other media reps tried to make clear that there are nearly unlimited uses for drones - which are much cheaper than photography from a helicopter at $300 per hour - for everything from sports and traffic coverage to an array of other uses that have traditionally been held to be constitutionally protected. A hobbyist came down from Fort Worth and, testifying at about four in the morning, told the committee he didn't want them to make something illegal that didn't hurt anybody and that he really loved to do. "I just want to fly my planes," he told the committee. A couple of speakers suggested there should be some sort of mens rea, or "ill intent" required before criminal or civil penalties kicked in. Anyway, you get the gist. Quite an animated discussion considering how late it occurred. To me, the drone debate is the culmination of an increasingly bad policy trend that's infected the Texas penal code for at least two decades - using criminal laws as commentary on social trends and a substitute for meaningful civil-side regulations, which is how you get seven, or 11, or 16 oyster-related felonies, depending on who's counting. With all due respect to Rep. Gooden, trying to engage in aircraft regulation primarily through the use of misdemeanor criminal penalties is just a wrong-headed approach. Exception for non-law enforcement operations - It shall not be unlawful under this chapter for an agent of the state or any political subdivision thereof to operate an unmanned aerial vehicle and for information from such operation to be disclosed if no part of any information and no evidence derived from such operation may be received in evidence in any trial, hearing, or other proceeding in or before any court, grand jury, department, officer, agency, regulatory body, legislative committee, or other authority of the [State] or a political subdivision thereof, or for any intelligence purpose. Under that language, the government could use drones for constructive purposes but not for "gotcha" type investigations. A pipeline company or one supposes, the state, might use drones to monitor for leaks, for example, but TCEQ couldn't use a drone for regulatory enforcement. Moreover, even with a warrant or under other exceptions, according to that model language, "Neither facial recognition nor other biometric matching technology may be used on non-target data collected by an unmanned aerial vehicle." We know that much is legal. The state can limit the activity of state and local law enforcement, state agencies, and their agents. Let's start there. Grits would rather Texas actually pass a meaningful drone privacy bill limited to restricting government instead of one that's overbroad, violates First Amendment precedents, and is destined to get thrown out in federal court. Regrettably, I'm not sure this bill is fixable without rethinking its approach from first principles. In part because of its inappropriate use of criminal law to address a regulatory question, Gooden's current language governing legitimate government uses IMO both goes too far and not far enough. Limiting its scope to government - and getting rid of the criminal penalties entirely - would avoid First Amendment court challenges and allow some version of the above language to address the main non-law enforcement uses of unmanned aircraft. As for private drones, the Texas Legislature will meet again in 2015 before the first private drones are licensed by the FAA that September. By that time, other states will have taken a stab at these thorny issues and the federal government will likely have passed more legislation on the topic. 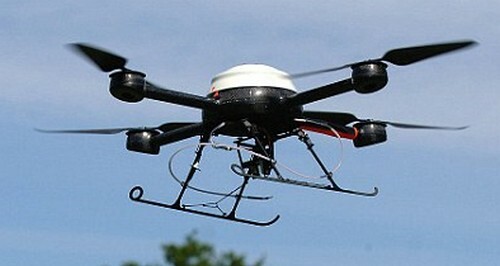 In the meantime, why not restrict drone use by the government, which is already being licensed to use this technology? Arlington PD embraces drones, gets FAA clearance; what limits will Lege impose? In the Texas House Criminal Jurisprudence Committee on Tuesday night, the spirit of the room was rather odd when Rep. Joe Moody presented his committee substitute on criminal discovery reform. No longer a reciprocal discovery bill, Moody laid out legislation featuring a one-sided requirement for the state to hand over evidence with no concomitant defense obligation. I'd heard rumor Sen. Ellis might do that on the senate side, but hadn't expected the change in Moody's version. (Happy day for the defense bar, but I hope it doesn't kill the bill. Becky Bernhardt has been working hard.) There was little testimony by anyone but some usual suspects (someone from the El Paso DA testified for it) and everyone's tone and posture was a bit like someone walking on eggshells. It felt like we were all sneaking something past our parents. Surely some prosecutors don't like the statutory give without any get but there wasn't remotely the sort of weeping and gnashing of teeth we heard later in the hearing over extending the Fourth Amendment to cell phone location. Can a one-sided discovery bill get through the Legislature? The reason it hasn't worked in the past is that prosecutors vowed to kill discovery legislation if it weren't "reciprocal." So they'd have to stand aside, as they did in the House on Tuesday night, or just lose their mojo for the bill to pass. I don't think the latter has happened quite yet so one suspects all they have to say on the subject, for now, is being said behind the scenes. How much of a game changer were the Michael Morton and Anthony Graves cases regarding prosecutorial misconduct? Have those episodes sufficiently altered the terms of debate on open files that a one-sided requirement can pass? Over the next month or two, we're about to find out. Another notable dog that didn't bark in the House Criminal Jurisprudence meeting Tuesday night: Rep. Senfronia Thompson brought a pair of bills, previewed here, to reduce penalties for low-level drug possession from a state jail felony to a Class A misdemeanor and to disallow state jail felony charges for possessing trace amounts weighing less than 2 one-hundredths of a gram. One might have expected a protracted battle over these bills just a few sessions ago, but on Tuesday there was no significant opposition. Indeed, Rep. Lon Burnam asked Thompson if she'd like to send the bill to the local and consent calendar since it seemed to face no opposition, a wry suggestion since she chairs the Local and Consent committee. She replied smoothly that she thought the general calendar would be appropriate. Don't get me wrong: I was grateful. Waiting on a later bill, the last thing I wanted was for someone to launch a lengthy debate over the merits of the drug war. But I was pleasantly surprised to find the committee considered the idea relatively noncontroversial. The main concern from the dais appeared to be potential costs to county jails as opposed to "sending the wrong message," etc.. Surprisingly, given how many jobs it creates, the drug war found no champions on Tuesday.- at least none willing to stay into the evening when the bills were finally heard. Politifact Texas fact checked a claim by Grits regarding oyster felonies, saying my claim in an interview with the Austin Post that there are eleven different felonies you can commit with an oyster is "mostly true," getting a "mostly" because I should have said "sixteen." Or maybe seven. Or something. I'm not sure what answer I'm supposed to have given that would rate a plain old "true," but my apologies for any error. BTW, since we're fact checking, PolitiFact Texas author Gardner Selby wrote that there are 2,324 offenses in the Texas parole guidelines offense severity list (pdf), when in reality there are more than 2,500. His source for the lower number was a 2007 Grits post, but dozens more offense categories are typically added every legislative cycle. UPDATE: Via email, I'm told the "true" answers would have been 16, a number I consider overstated, or seven, which is an estimate never published before Gardner solicited it for his story. I replied that IMO Marc Levin's estimate was "truthier" He was gamely attempting to count felonies across codes using a consistent methodology. The Parks and Wildlife person is a practitioner unburdened by the need to apply consistent categories to accommodate the array of statute types and variations in Texas law beyond just oysters. So how many oyster felonies are there? Seven, 11, or 16. Whatever the number, the fact that different counters can't agree, much less that the offenses are seldom if ever charged, at a minimum is humorous and also shows why the House Criminal Jurisprudence committee should consider and pass HB 990 by Rep. Senfronia Thompson authorizing a comprehensive re-evaluation and cleanup of all these junk enhancements that have accumulated over the years. MORE: Find below the jump the "mostly true" response I sent to Selby when he questioned the number. More MSM coverage of the DPS drug lab scandal and the latest overturned sentence out of Galveston via the Texas Court of Criminal Appeals (the 17th, by my count), this time from Maurice Chammah at the Texas Tribune. April 5 is a day to mark on your calendar for those interested in this case. The Forensic Science Commission at its quarterly meeting will vet the final report line by line and vote on the changes before the document is completed over the summer. It will be the most thorough public discussion to date for reporters, attorneys, or any other interested parties who want to know exactly what happened in the case. See prior, related Grits coverage of the Salvador fiasco. In a curious per curium opinion, the Texas Court of Criminal Appeals today granted habeas corpus relief to Ed Graf (see Grits coverage here, here, and here), who was convicted based on expert testimony about arson that was substantively demonstrably false. The case is notable both for a) the quick turnaround and b) the lack of dissent among a court that was divided 5-4 on similar questions in Ex Parte Robbins, Overton and Henderson. Perhaps with SB 344 by Whitmire passing the Texas Senate this week in direct response to their recent decisions, the court decided these old arson cases were the wrong venue to quarrel over whether debunked science provides a basis for relief. MORE: At the Dallas News (March 28), see, "Force arson science to apply in criminal court," and from Dave Mann at the Texas Observer, see "The Arson Files: Ed Graf wins a new trial." In the wee hours of the morning, long after the 101st co-author had signed on to HB 1608, prosecutors and police argued to the House Criminal Jurisprudence Committee, as they had to the Senate Criminal Justice Committee earlier in the afternoon, that they should not be required to get a warrant for cell-phone users' historical location data. Police from Houston and Dallas, the Harris County DA's office and an expert from the US Marshals Service all contended (to greater and lesser effect in the Senate and House committees respectively) that it was okay for "real time" and prospective location data to require a warrant but historic location data should not. At the House hearing (go here to watch; debate on HB 1608 begins at the 3:37:15 mark. ), bill author Rep. Bryan Hughes had a screen drop behind the committee as he laid out the bill and played a bit from the online graphic created by a newspaper based on six months of German politician Malte Spitz's cell-phone location records. That presentation took a bit of the edge off of arguments (which had been better received in the Senate committee) about how inexact historic location records could be. Spitz's graphic was created from 2009 data he obtained through a lawsuit against his cell-phone carrier. A newspaper married a map of his cell-phone location data with a narrative derived from his Facebook and Twitter accounts. Since 2009, the number of cell towers and antenna spiraled upward to handle the massive amounts of data associated with smartphone functionality, pointed out Dr. Chris Soghoian of Yale's Information Society Project, who is one of the leading national experts on cell-phone surveillance. (For anyone wanting to delve into the details of cell-phone tracking, his dissertation [pdf] submitted last year is a must read, which I don't say about many dissertations.) Over time, as more cell towers and antenna are constructed, "historic" location data will only become more accurate. data from just four, randomly chosen “spatio-temporal points” (for example, mobile device pings to carrier antennas) was enough to uniquely identify 95% of the individuals, based on their pattern of movement. Even with just two randomly chosen points, the researchers say they could uniquely characterize around half of the 1.5 million mobile phone users. The research has profound implications for privacy, suggesting that the use of mobile devices makes it impossible to remain anonymous – even without the use of tracking software. Not only does this news rebut the late-night argument from law enforcement that historical data can't identify someone - as if Malte Spitz's cell-phone diary hadn't proved the point - it confirmed observations by the Electronic Frontier Foundation's Jennifer Lynch (reported in this Grits post) that location data is essentially itself a "biometric" because no two things can be in the same place and human habits are as unique as they are personal. You are where you go. Arguably, your location is one of the most unique and personal things about you. The other main law enforcement argument mirrored those from the Obama Administration which aggressively maintains that cell phone users have no privacy interest in their cell-phone location data because that information belonged to the cell-phone company and thus was accessible to law enforcement as a third-party business record. That dubious point was rebutted well enough at the hearings by EFF-Austin board member Matt Henry (see his column in the Houston Chronicle) who compared the situation to US v. Miller, which similarly relied on the third party doctrine to hold that people's bank records were the property of the bank and not subject to a warrant requirement. Two years later Congress responded by passing the "Right to Financial Privacy Act" which essentially reversed Miller for purposes of personal financial records. Too much of our digital fingerprint today lies in the hands of third parties for that anachronistic doctrine to remain valid, which is why I hope the Lege gives freshman Jon Stickland's HB 3164, which would require a warrant for stored email, a fair shake this session. The third-party doctrine as a premise of the courts is likely here to stay for the lifetime of anyone reading this. But legislative bodies can carve out exceptions - let's call them zones of privacy - and this should be one of them. For me, SB 786 and HB 1608 are not just about requiring a warrant for location data, but also encouraging the legislative branch to continue the reconsideration of the third-party doctrine begun by Justice Sonia Sotomayor in her concurrence to US v. Jones. In an era of cloud computing, its strict application becomes antiquated and ill-considered. Nobody reasonably expects that their cell-phone is being tracked on the minute scale that Herr Spitz was tracked. And if the courts are going to create a "reasonable expectation of privacy" exception to the Fourth Amendment, the law must adjust, through legislation, where courts aren't up to the job, when technology forces "reasonable" expectations to change. Courts are not the only branch of government that's sworn to uphold the Constitution. That burden falls just as heavily on the legislative branch, particularly when the judiciary cannot confront the issue in a timely manner. The telephone was invented in the 1870s, I reminded the committee last night, but the Supreme Court didn't get around to requiring a warrant for wiretapping until 1967 in the Katz decision where the court coined the term "reasonable expectation of privacy." Today, people's reasonable expectations are different than in 1967, when the high court placed so much import on the fact that Mr. Katz closed the door to the phone booth to establish his reasonable expectation of privacy. The door to the phone booth is open. Much energy was spent at both hearings on what to me was a rather pointless question. Some in law enforcement claimed that this information already required a "court order," but they kept misrepresenting the standard. The so-called "d" order from the federal code or the comparable Art. 18.21 Sec. 5 in Texas Code of Criminal Procedure both tell judges they "shall" grant the order if the location data is relevant to an investigation - a far cry from "reasonable suspicion," much less "probable cause." A few, vocal police detectives maintained aggressively throughout the hearing that everyone who gets location data does so under a federal "d" order and cell phone companies were prohibited by law from giving out that information otherwise. This was contradicted by an attorney for small cell-service providers who said his clients handed over information in response to administrative subpoenas, Section 5 orders under the Texas Code of Criminal Procedure, federal "d" orders, orders based on "reasonable suspicion" as well as straight-up, probable cause based search warrants (which some DAs seek of their own volition). For myself, I couldn't see a point to the debate: If Rep. Hughes and Sen. Hinojosa want to apply a "probable cause" standard, why should the fact that they meet the much lower "relevant" standard be, well, relevant? Anyway, law enforcement (mostly from Dallas and Houston) vigorously denied the notion that location information was available by subpoena until the next to last witness: A poor gal from the Texas Department of Insurance who signed up "on" the bill as a resource witness. Resolving the dispute once and for all, their law-enforcement division, she said, obtained location information using administrative subpoenas and she was there to explain to the committee how they used location information and why it was a useful tool. A generally "anti-" resource witness from the US Marshal's office, testifying "on" the bill, grumbled that the Department of Insurance and any cell-phone carriers they'd subpoenaed had committed federal crimes. I noticed, though, that he didn't arrest anybody, at least before the chair pended the bill a bit after 1:30 a.m. and mercifully ended what for me had been about a 16-hour day at the capitol. MORE: EFF-Austin's Twitter feed had a blow by blow recounting of the day's events. Now SB 344 heads to the House where Rep. Sylvester Turner is carrying the companion (for which SB 344 will be substituted). This bill has made it through the House Criminal Jurisprudence Committee twice before - the hangups have come in 2009 because of the Voter ID chubfest that killed hundreds of bills including this one, and in 2011 by delays at the committee level - Criminal Jurisprudence and Calendars - that should be mitigated (knock wood) with the main, historical opposition now standing aside. It's a minor tweak that will impact a small but difficult group of often high-profile cases where the Court of Criminal Appeals simply cannot agree on the correct authority or standard on which to base their decisions. In that sense, the bill bolsters the Great Writ to confront 21st century challenges. Texas Court of Criminal Appeals Judge Cathy Cochran has openly worried in a published opinion that the “disconnect between changing science and reliable verdicts that can stand the test of time has grown in recent years as the speed with which new science and revised scientific methodologies debunk what had formerly been thought of as reliable forensic science has increased.” Indeed, "The potential problem of relying on today's science in a criminal trial (especially to determine an essential element such as criminal causation or the identity of the perpetrator) is that tomorrow's science sometimes changes and, based upon that changed science, the former verdict may look inaccurate, if not downright ludicrous. But the convicted person is still imprisoned. Given the facts viewed in the fullness of time, today's public may reasonably perceive that the criminal justice system is sometimes unjust and inaccurate." In an earlier case, Ex Parte Robbins (see earlier Grits coverage), the court on a 5-4 vote refused to provide relief even though admittedly false medical testimony, recanted even by the scientist who originally offered it, was the only evidence accusing the man who'd been convicted. (Both the prosecutor and the defense attorney from the Ex Parte Robbins case, Mike McDougal and Brian Wice, testified at the senate committee hearing.) If SB 344 had been in place, the court would have had firm grounds on which to grant a new trial when forensics that were the "sole bases" of Mr. Robbins' conviction were discredited. Now it's up to the Texas House to finish the job. This year, with an early start, SB 344 has an excellent chance of making it all the way through the process and resolving these sticky questions which have too often confounded 21st century habeas jurisprudence in Texas. There's no good excuse for not passing this now-agreed bill as quickly as possible, resolving a judicial impasse and crossing off the list another recommendation from the Timothy Cole Advisory Panel on Wrongful Convictions. Arlington PD embraces drones, gets FAA clearance - what limits will the Lege impose? Notably the makers of police drones are openly worried that the first person to shoot one down will be considered a "hero" and, said US News and World Report, "According to a Reason/Rupe poll conducted last month, nearly half of Americans believe that they have the 'right to destroy' a drone that flies too close to their house. Nearly two thirds of Americans said they'd be worried about local police drones invading their privacy." The over-the-top public reaction to drones makes me think the time is ripe for legislation to regulate them. But the bill as filed was too sweeping, potentially impacting even university researchers, hobbyists, and other legitimate users. Last year the Montgomery Sheriff's drone program made headlines when they crashed their drone into a SWAT truck during a practice run. Will 'competition' among universities solve Texas prisoner healthcare problems? At the Austin Statesman, Mike Ward reported on a suggestion recently endorsed by the Texas Senate Criminal Justice Committee to expand the number of medical schools that could participate in prisoner health care, ostensibly to increase "competition" by allowing six additional schools to participate if they so choose. He'd first reported on this proposition back in summer of 2011. Grits has suggested before that "Universities won't flock to participate in money losing health care," and coupled with necessary security training and facilities alterations that most schools aren't immediately able to implement without notice (here's a worst case scenario if they don't), this at most is a "down the road" possibility, not something I'd expect to see significantly alter who carries the brunt of prisoner healthcare in the next biennium. Down the road, you never know. Somebody would have to step up and want it while today, them that have it would like to get rid of it. There's nothing wrong with the provision of prisoner healthcare today by UTMB and Texas Tech that an extra $110 million for the biennium wouldn't fix. Cutbacks to front-line providers were necessary to meet the last round of cuts, so if they leave the prison healthcare budget at current levels, I'd be surprised to see many university medical schools "compete" for the chance to join UTMB and Texas Tech in a perennially money losing proposition. Why would they? Sen. Tommy Williams has a bill up regulating media outlets that engage in the publication of mug shot and criminal history information, requiring them to publish accurate information and to correct errors or outdated information, giving them a "duty to disseminate complete and accurate criminal history information." Also, such entities could not charge a fee for removing someone from their website. Good bill. Chairman John Whitmire's SB 1114 would create alternative, non-criminal sanctions for school misbehavior instead of writing Class C misdemeanor tickets, a topic the senate dean has been aiming to change for some time. There are three minor gun bills including one by Sen. Hinojosa requiring Texas licensure for concealed carry permit holders from other states once they establish residency here, and another by Sen. Craig Estes clarifying the law on brandishing a firearm to require a proactive display of a weapon in a way calculated to cause alarm. A third, by Sen. Royce West, would expand the scope of the offense of "unlawful transfer" of a weapon. A pair of bills related to easing requirements on bail bond companies made the list. SB 876 by Patrick would let surety bond companies get out from under old liabilities if a skip is not caught for five years after their last hearing, a requirement the bill analysis calls "improper government overreach." Another bill by the chairman would give defendants who don't show up for their hearing an extra 72 hours to show good cause before the bond company forfeits the money they put up. As in the House, the debate over discovery reform may be among the most contentious of the day as the committee considers Rodney Ellis and Robert Duncan's SB 1611. The defense bar has dug their heels in but these folks are arguing over tiny margins of trial turf for a profession that pleas out 97% of convicted criminal clients. Lots of folks will be scurrying back and forth between committees over this issue. The Texas House Criminal Jurisprudence Committee has a packed but interesting agenda on Tuesday, March 26. Not only is Rep. Hughes' bill on cell phone location tracking on the agenda (its companion, SB 786 by Juan "Chuy" Hinojosa is on deck in the Senate Criminal Justice Committee on the same day), an array of other big items dot the day's landscape. In both the House and the Senate, "reciprocal" discovery bills are up on Tuesday. In the House, bills by Moody and McLendon are on the agenda, while in Senate Criminal Justice, Rodney Ellis' SB 1611 comes up to bat. All are likely to have new "committee substitute" language, but the defense bar seems pretty dug in. After Tuesday, I suppose we'll discover whether these bills will move forward regardless, without their consent. Should be quite a show. Rep. Senfronia Thompson has a pair of bills up, HB 1417 and HB 2914, the first of which would reduce possession of less than a gram of a controlled substance from a state jail felony to a class A misdemeanor, and the second of which would eliminate "trace" cases from the felony docket by requiring there be .02 grams or more of substance to qualify for a state jail felony offense. Readers may recall that one-term Harris County DA Pat Lykos stopped charging "trace" cases as a felony, contributing to reduced jail crowding, but her opponent in the GOP primary, the current DA Mike Anderson, ran on a platform of charging those cases as felonies again. Most other large jurisdictions treat the same type of cases as Class C paraphernalia charges. Thompson, a Houstonian and chair of the House Local Consent Calendars Committee, finds her interests on this momentarily aligned with Republican District Judge Michael McSpadden, who has made it a biennial ritual to round up fellow district judges from Houston to sign on to a letter calling for reducing less-than-a-gram cases to Class A status. His main goal is to relieve the district courts of petty cases he doesn't believe warrant a felony charge. Not the first time this has been proposed, but it's a moment when Houston in particular needs the law adjusted if the DA's Office intends to go back to the bad old days of overcharging petty drug cases. The committee will consider HB 912 by Gooden, which in its original form would have criminalized drone photography generally with a handful of specific exceptions. I understand the committee substitute may look quite different, but whatever it says, it's up on Tuesday. See related, recent Grits coverage. There's a bill up by Rep. Charles Perry that would allow victims to decline contact with a "victim outreach specialist" if that person is employed by defense attorneys for the accused, but by doing so make the DA's "victim service provider" that person's sole point of contact, whose decisions will be relayed to the defense through the DA's office. Seems like they're trying to streamline the cabining of prosecution witnesses into a formal process. With the defense bar there for the discovery debate, I suppose somebody in the room may have something to say about that. By contrast, HB 167 by McLendon would expand victim-offender contact through voluntary, pretrial mediation. And the winner is, "Voyeurism," a proposed new Class B misdemeanor! See the filed bill text for details, just don't look too close! Committee member Jeff Leach filed HB 2371 and four committee members are joint authors, making it perhaps the most likely bill on the agenda to make it out of committee. HB 1849 by Sterfani Carter, who's vice chair of the Criminal Jurisprudence Committee, would clarify language in the DAs' asset forfeiture statute that set limits on what the money can be spent on but in a way that gives prosecutors maximal discretion as well as legal certainty for all the ways they're currently spending the money. The question arises, is it wise to endorse this whole "eat what you kill" environment? Does it create perverse incentives to allow prosecutors to generate these sometimes sizable slush funds? I think this bill would be fine except, if I were made philosopher-king, the money would go to the county treasury and they should be the ones who decide which "law enforcement purpose" to spend the money on. New national forensic commission, to what end? Hard to know what to make of the "commission" from their press release and limited initial coverage but the partnership with the National Institute of Standards and Technology perhaps yields a clue. This could result in just another set of advisory recommendations or perhaps it may be considered, in the future, as the beginning of a national regulatory scheme for the forensic sciences. That depends in large part, one supposes, on who is on the commission and what it recommends. At least the public hearings should be informative. Check out the updated list of joint and co-authors from state Rep. Bryan Hughes' HB 1608 requiring warrants for police to access location tracking data from cell phones. His four "joint" authors are Reps Lois Kolkhorst, Jon Stickland, Lon Burnam (who like Hughes and three more co-authors, is on the committee that will hear the bill), and, signing on yesterday, Senfronia Thompson, the grand dame of the Texas House. Plus, as of Wednesday, the bill had 81 (!) additional "co-athors," meaning 86 members total have signed onto the bill out of a House chamber of 150. To me, the nascent popularity of this bill speaks to an emerging bipartisan consensus that 20th Century notions of privacy are inadequate to protect personal privacy in the digital age. The Obama Administration may oppose requiring warrants for location data and some of the law enforcement agencies aren't happy about the application of the Fourth Amendment to this purpose. But aside from special interests that actually want to engage in warrantless invasions of privacy, most people consider the idea a no-brainer. Indeed, perhaps the most common response from legislative staffers when the Texas Electronic Privacy Coalition was talking with potential co-authors was, "You mean that doesn't require a warrant already?" Most people carry cell phones or smart phones (which bleed more personal information, even, than older models) and have what to them seems like an eminently "reasonable expectation" that they won't be tracked or monitored without probable cause, even if the courts and the executive branch haven't caught up to them on these questions. That's exactly the sort of situation that requires a legislative solution and it's good to see Texas legislators stepping up to the plate. UPDATE: As of the end of the day, 3/21, we're up to 87 co-authors, meaning 92 out of 150 House members have already endorsed the bill. MORE: This bill was posted for a hearing in the House Criminal Jurisprudence Committee on Tuesday, March 26. Also on the same committee calendar, HB 912 regulating drones, bills on reciprocal discovery, and a pair of bills adjusting quantities and sentencing categories for low-level drug possession offenses. AND MORE: Apparently this issue crosses party lines nationally, too, with anti-tax maven Grover Norquist teaming up with the ACLU and the Center for Democracy and Technology for a campaign to require warrants for location data. See his essay published March 20. Federal legislation was filed yesterday on the subject but who knows at this stage what are its chances. NUTHER UPDATE: As of April 5, there were 103 co-authors, along with the four "joint" authors and the primary author Rep. Bryan Hughes. By my count, the Texas Court of Criminal Appeals issued four new habeas writs on yesterday's hand down list that will result in four more people with drug offenses from Galveston County being released whose sentences between them totaled 29.5 years because of alleged misconduct by former DPS crime lab worker Jonathan Salvador in Houston. These writs bring the total released up to 16 convictions reversed, with sentences totaling 127.5 years so far. pleaded guilty to the third degree felony offense of possession of marijuana in a quantity of more than five pounds and less than fifty pounds, and was sentenced to three years' imprisonment. He did not appeal his conviction. Applicant contends that his plea was involuntary because he is actually innocent of the offense to which he pleaded guilty. ... Apparently, after Applicant had entered his guilty plea, the laboratory testing of the substance involved in this case were completed, and it was determined that the State could only have proved that Applicant possessed a misdemeanor quantity of marijuana. The parties agree that Applicant would not have pleaded guilty in exchange for a three-year sentence had he known that the State could only have proved that he possessed a misdemeanor quantity of marijuana. Relief is granted. The also overturned a 1992 death sentence because "the former statutory special issues [applied at trial] did not provide applicant's jury with an adequate mechanism for exercising its reasoned moral judgment concerning whether applicant's mitigating evidence warranted the imposition of a life sentence rather than the penalty of death." See prior, related Grits coverage of the Salvador mess. Despite the US Supreme Court's ruling in US v. Jones that such an activity constituted a Fourth Amendment search, the Obama Administration continues to maintain that it may install a GPS tracker on personal vehicles without a warrant or demonstrating probable cause. (From Wired see: "Feds: No warrant needed to tack your car with GPS device." The government's latest brief (pdf) on subject to the Third Circuit Court of Appeals says they should be able to use such trackers to develop probable cause, a notion that turns the Fourth Amendment on its head. If the court doesn't buy that argument, the feds maintain judges should apply the automobile exception to the Fourth Amendment that allows a lower standard to search a vehicle at a traffic stop than a person's home. The automobile exception, though, was created to let police look for contraband. It's quite another thing entirely to say it justifies continuous tracking over time. Incidentally, Mr. Jones, of US v. Jones fame, saw his case result in a deadlocked jury earlier this month. The government, after being told it couldn't use information from the GPS tracking device in his car, used tracking data from his cell-phone instead to generate the same location information. So it wasn't the lack of location data that soured the case but the state's failure to provide other, sufficient proof of his guilt. Still, the episode shows the relationship between cell-phone tracking and US v. Jones - if that loophole isn't closed, Jones becomes essentially useless for protecting personal privacy in an era where nearly every adult has a cell phone. These federal cases demonstrate why Rep. Bryan Hughes HB 1608 has received so much support in the Texas House, along with bipartisan support for a warrant requirement for cell-phone location data in the Senate. Opponents of the measure have been arguing of late that your personal location information does not belong to you, that you've given up any "reasonable expectation of privacy" regarding your location simply by carrying a cell phone. This is the "third-party" exception - an ill-advised, SCOTUS-written carve-out of the Fourth Amendment that Justice Sonia Sotomayor argued should be reconsidered in her concurrence to Jones in an era when so much data about us is now held by private companies. Sotomayor argued that to allow continuous, warrantless tracking by the government would "alter the relationship between citizen and government in a way that is inimical to democratic society." She's right. Nine Justices in Jones said putting a location tracker on your car is a search, and a majority of justices held it was a search not just because of the physical intrusion of placing a tracker on your car but because continuous tracking of one's movements violated reasonable expectations of privacy. Judges, though, aren't the only ones who take an oath to uphold the Constitution. Legislators, too, bear that obligation and when judges or the executive branch fail to act, it's incumbent on legislatures to step in to protect constitutional rights. The Texas Legislature has a chance this session to exercise leadership on this question, rebuffing the Obama Administration's absurd, self serving contention that we have no "reasonable expectation" the government won't track us everywhere we go. Kudos to the Houston Chronicle's Lisa Falkenberg for the first MSM coverage ("Area prosecutors interpret duties to justice differently," March 18) since the Texas Court of Criminal Appeals began tossing out convictions based on the allegedly fraudulent performance of Jonathan Salvador, who was fired from the DPS crime lab in Houston last year after it was discovered he faked results in identifying Alprazolam tablets. Her report compares the response by Galveston County District Attorney Jack Roady, who promptly notified defendants and agreed to habeas writs dismissing cases where Salvador's evidence was key, and Fort Bend County DA John Healey who has yet to notify any defendants except for a few, informal conversations with defense counsel around the courthouse. in Fort Bend County, no letters were sent, no panel appointed. In terms of the cases already tried, District Attorney John Healey told me last week that lawyers in a few were notified verbally, but that he had planned to wait until retesting from DPS before sending a broad alert to those convicted and their lawyers. As a result, many sitting on probation or in prison based upon what could well be falsified evidence are unaware of that fact. Healey found the recent appeals court ruling "illuminating and instructive" but disagrees with the court that the relative few errors identified in Salvador's cases have "the potential to taint his other work." Damn nice of him, isn't it, to comply with his Brady obligation even if he disagrees with the Court of Criminal Appeals? What hubris! Don Bankston, the former First Assistant DA in Fort Bend County, speculated that Healey was "trying to save their cases" by delaying notification. The next Court of Criminal Appeals "hand down list" will come out tomorrow. Based on their prior rulings, expect more of Salvador's cases to be on the roster of approved habeas corpus writs.